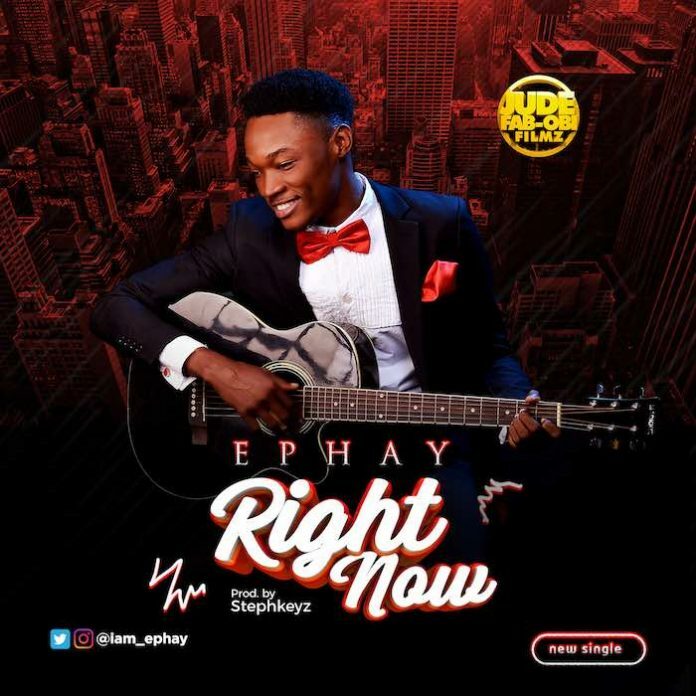 Ephay; Lagos based gospel artiste, photographer and graphics Artiste, appears on the music scene with his debut single and video dubbed Right Now produced by StephKeys with visuals directed by Judefab-obi filmz. The quintessential graphic artiste turn gospel music minister says that “the song was born out of the promise of God children particularly at this time”. Although, he found his voice at a very tender age of 5, his voice and passion for music has grown and climaxed to this beautiful single and video. God is about to heal! To take all the pain Away!